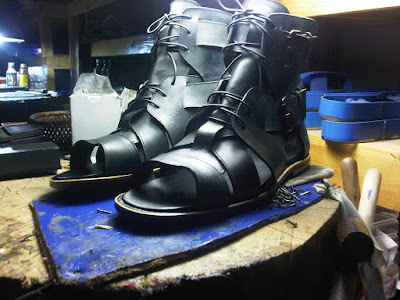 We made some sandals for a young local designer, Its not an elevator style shoe or increases height in anyway, but I hope it will show of our skills as shoemakers. The deal was for a couple of free pairs in exchange for a fashion show in our new shop. Gladiator style sandals have been very popular for some time now, and this is a great take on this feature. They look to be very well made, with good quality leather. Nice work. 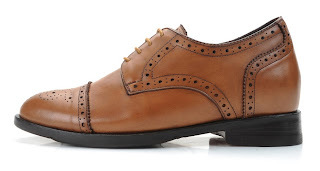 Would you like to know where to keep up with the latest elevator shoe trends? I've put together the best websites into this top ten quick list. Don's makes all thier shoes by hand, The shoes are made to order so adjustments and custom orders can be requested. The best shoes on the web by far. Also has weekly deals and VIP for club for members. 3www.elevatorshoes.com The longest running store on the web, Founded in 1998 only 2 years after the web exploded and has the best URL and mostly sells the most..
4 Not much else worth mentioning really as 90% of the shoes are all made from the 1 factory in China and shipped wholesale to the other brands/websites, so it pays to shop around as they are all the same shoes really. 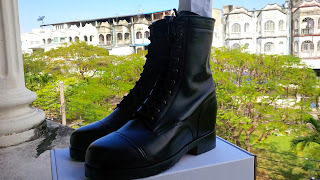 Over the years Ive had quite a few requested to make an increase of the 5 inch boot I on the D'Etna boot I already make. The trouble for me was that I had to start the designing the shoe last from scratch again. You can see quite a different in the regular D'Etna boot and the pair shown here on the website. The new version has a double leather sole (8mm) plus a 5 mm rubber have sole) the Insert is made from both PU rubber and EVA Hardened Foam. I will wait for further inquires for the 5 1/2 - 6 inch. Im sure they will arrive soon. UPDATE: The boots are now live on the website www.cubanheelboots.com At the moment we have 3 Winklepicker designs and 4 chelsea boots models.